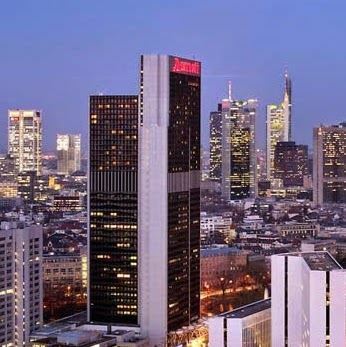 This year's Airline Revenue Management AGIFORS Study Group Meeting is being hosted in Frankfurt, Germany. This year’s annual study group meeting and conference has been scheduled for 18--20 May 2016 at Frankfurt Marriott Hotel. The Revenue Management Study Group offers the latest in innovation on airline operations research as it applies to revenue management. All topics in the area of reservations and revenue management systems and activities are covered by this Study Group of AGIFORS. These include revenue optimization, overbooking management, demand forecasting, distribution channel issues and some marketing issues. Recent topics of presentations include revenue integrity, revenue management without restrictions, O&D forecasting and control, migration from leg-based to O&D-based systems, O&D abuse, and Choice-based RM optimization. Representatives from airlines, air transport associations, universities, industrial research laboratories and consultants will discuss new ideas and present technical papers. Come and share with us your ideas, thoughts, current trends, philosophies and latest technological advances on any of the above or related topics.